The first time I heard the name Italian wedding soup, I thought it was the kind of soup that is served at weddings. Come to find out that’s not the case. The original name for this soup is Minestra Maritata. Maritata is the Italian word for married. And this particular marriage is between the vegetables and the meat in the soup. Dice the carrots. 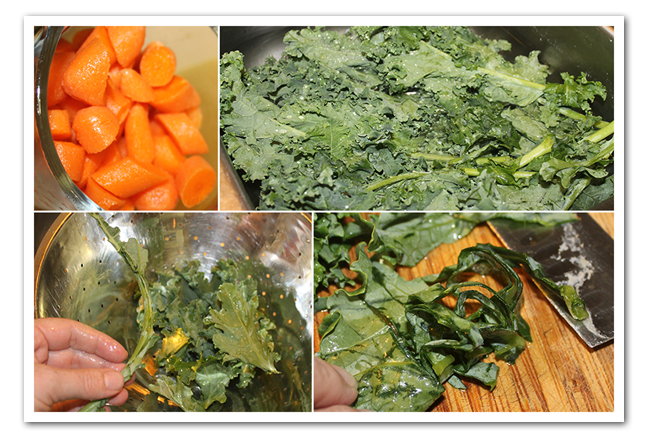 Wash and remove the stems of the kale, cut into thin strips. 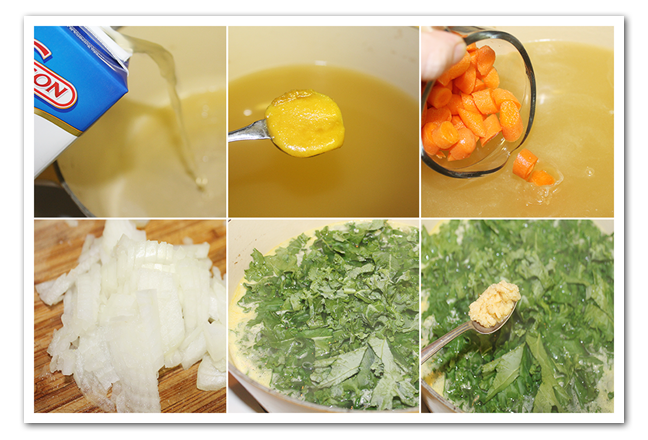 In a large pot combine the broth, carrots, 1 small minced onion, the kale and 1 tsp minced garlic. Bring to a boil, reduce the heat to low and simmer until the carrots are tender, 30 minutes. In a large bowl, combine the ground pork, onion, the 1/2 cup cheese, the egg, bread crumbs, the 1 tsp. garlic, the 1/2 tsp. salt and 1/2 tsp. pepper. Mix well make 1-inch balls and place on a plate. Set the skillet on medium-high add the oil. 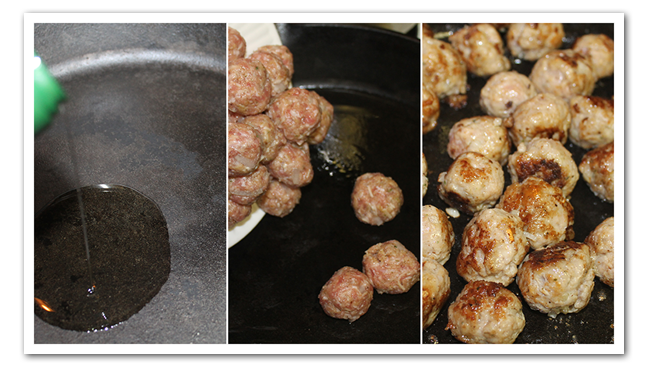 Then add the meatballs and cook until browned, about 5 minutes per side. 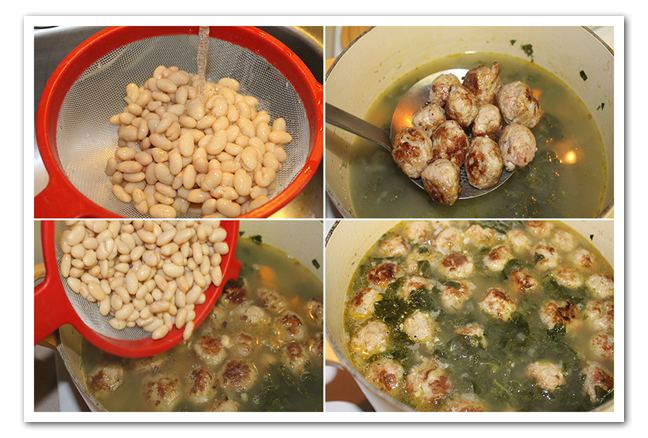 Add the meatballs and the white beans to the soup and simmer until the meatballs are cooked through, about 15 minutes. 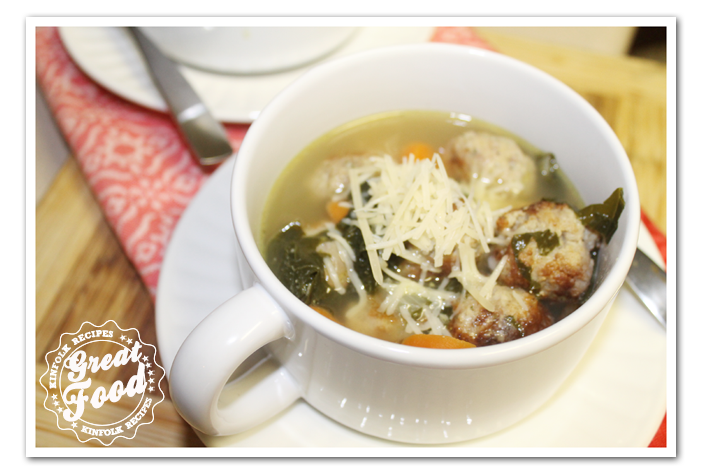 The first time I heard the name Italian wedding soup, I thought it was the kind of soup that is served at weddings. Come to find out that's not the case. The original name for this soup is Minestra Maritata. Maritata is the Italian word for married. And this particular marriage is between the vegetables and the meat in the soup. 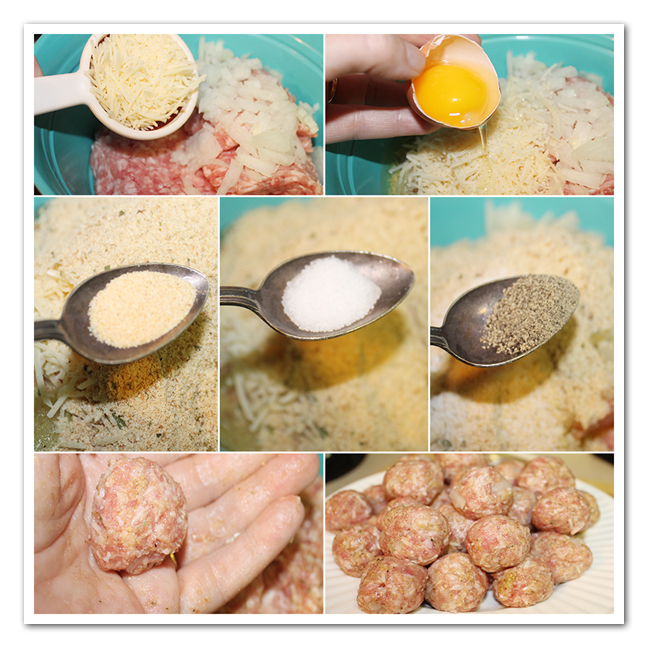 In a large bowl, combine the ground pork, onion, the ½ cup cheese, the egg, bread crumbs, the 1 tsp. garlic, the ½ tsp. salt and ½ tsp. pepper. Mix well make 1-inch balls and place on a plate.